I've never really been on a proper beach holiday, the only place abroad that I've been to was Poland, and that's because I'm Polish. Oh and that time I went to Barcelona in Year 8 but who remembers that. I feel like when you're younger and you go on nice holidays you don't appreciate it as much. 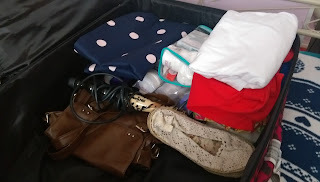 Anyhow, I' going on Tuesday but I've pretty much been packing since Thursday. I'm just really excited! 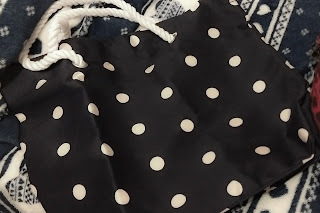 But this post is about what to pack and the beach essentials you should take. I think it's good to make a checklist of all the things you need like dresses, shorts, skirts, bikini, makeup, hair products etc. Here's a good checklist to make sure you're not forgetting anything http://www.cosmopolitan.co.uk/entertainment/travel/a9624/holiday-checklist-for-girls-104222/. Also DON'T FORGET sun cream! I'm definitely one of those people who will avoid it because I want to tan however I will be taking a high SPF for the start of the holiday then gradually move to a lower one. Nonetheless, always stay protected as you don't want to turn all red. I've been looking into this and watching some YouTube videos to inspire me so here are the things that I've packed so far. This is just what I've got in my suitcase, I wasn't sure whether to go through everything like the clothes but I think I'll post them when I'm on holiday or after. I think I'll do like an outfit diary. Anyhow, there's a lot of dresses, shorts and skirts. So next it's clearly the bikini's or any other swimwear. This is my collection. I am kinda obsessed with lemons so I got a lemon bikini which will go great with my lemon beach dress.Can I also point out that I bought the lemon top and striped bottoms for £4!! Yes that's £4! Primark was having a sale on their bikinis. Although they didn't originally match, I made them work. Now this sounds silly but I've packed things like bikinis and under in a sandwich. Sounds really weird but I thought it was a good way to store it without taking too much space in my suitcase (I also have to share it with my sister so I'm trying to use my space wisely). Then I bought a beach bag, I thought I matched my bikini so I couldn't miss the opportunity. It was only £5 so I thought it was a good bargain. Considering how big it is(it covers pretty much half of my body when around my shoulder). So next I'm taking a straw hat, I don't really wear hats that often but I've always wanted one however whenever I tried them on in shops they never fit my head. I think I might have a slightly big head :s Anyhow, I found this one in Primark for £4 and it fit! Moving on to cosmetics, I have my Neutrogena Visibly Clear 2 in 1 wash/mask. I love it so much! I cleans my face so well! Honestly, I like to keep in on for at least 10 minutes and once I wash it off I instantly have a smoother face. 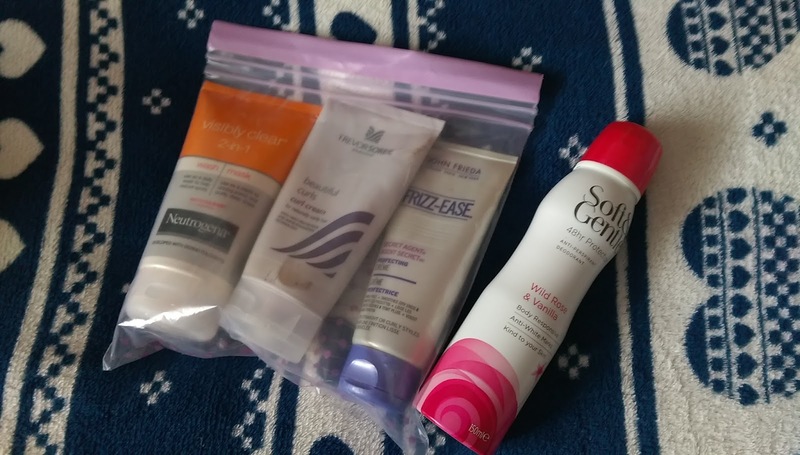 This is great for a holiday because you don't want any spots coming out when youre on holiday, especially because youll be in a different climate, it's just good to keep looking after your face and prevent any surprises on your face. Then I have my Trevor Sorbie Curl Cream. I have very curly hair and I used to suppress it but I've recently just learned to embrace it so I've been using just a blodge of this to enhance the curls. Then I have my John Frieda Frizz Ease Perfecting Creme. My hair tends to be very sensitive to dampness and it frizzes a lot. Considering I'll have beachy hair a lot during my holiday I'm expecting it to go out of control. This prevents the frizz a little bit. And lastly I just have a deodorant from Lidl hehe. Hey so far it's doing fine. Its going to be about 40 degrees so I want to make sure I still smell alright. 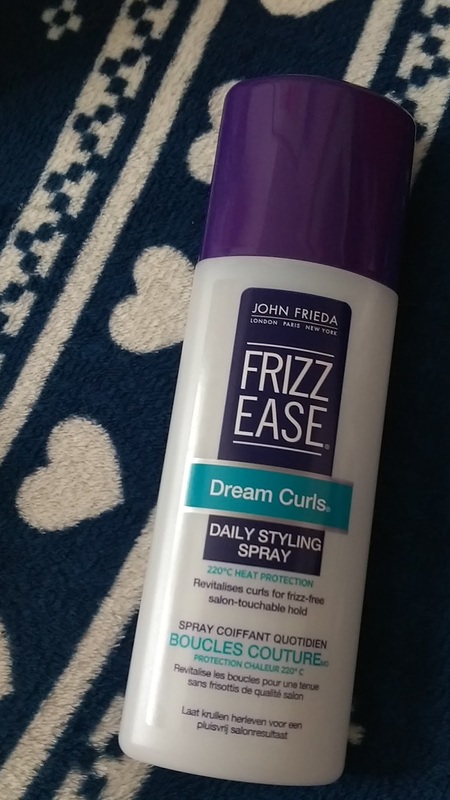 And then I have my John Frieda Frizz Ease Daily Styling Spray. Its pretty much just a heat protector which "Revitalizes curls for frizz-free hold". I'm planning on keeping my hair fairly natural throughout my holiday however I do get occasions where half of my head is curly and the other straight so this is just something to protect my very sensitive hair and give them nice curls. Moving on to my makeup! 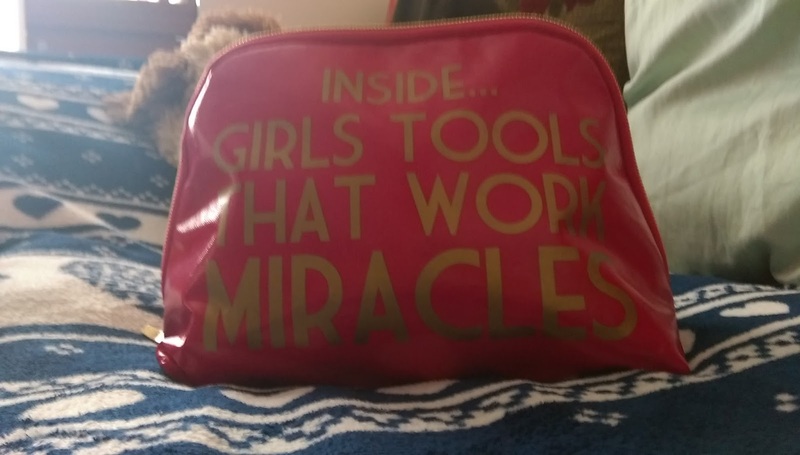 This is my makeup bag! I love it so much, it's just so cute! 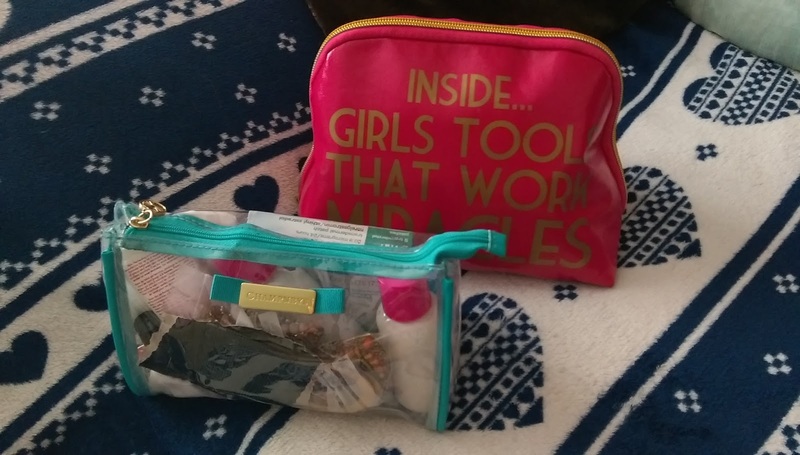 I'm taking two because in one I've just got all my makeup and other bits while the other has other products I might use and some accessories. 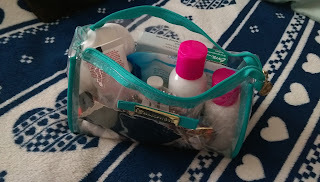 I also wanted two because if I'm going to be outside of the hotel and I want to carry any products on me I can just pop them in there since the bag isn't very big. In my makeup bag I've just got all my face products like foundation but also tinted cream as I won't really want a face caked in foundation considering the weather. I've got waterproof mascaras, different eye shadows for different looks. I went for the more colourful colours as I think they're perfect to use in the summer. I think I'll so a What's In My Makeup Bag post soon to go a little more into detail in the products. 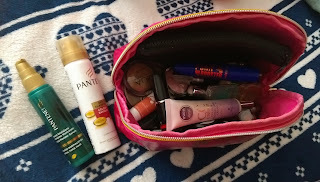 And lastly this is just some stuff in the other makeup bag. It has my shampoo and condition in travel sized tubes alongside nail varnishes, face primer, hair grips and makeup wipes. 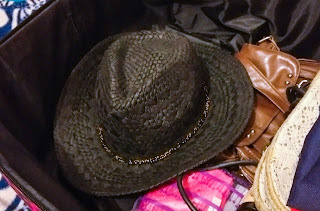 So that's mostly what I'm taking in my suitcase, there are other little things like underwear, bras etc but ill let you imagine how that looks. Also I still have some shoes to pack and put some stuff in my hand luggage but that's mostly it. Sorry for the really long post. I hope it was of any help, if not sorry for the long ramble. Anyhow, I hope it was of some help on what to take on summer holiday.